MRI Videos to be Proud of. Some time ago MRI-SG wrote an article about how MRI, Dominic Pickering and Darragh MacAnthony were using their own people, media companies, lawyers, Carter Ruck and Bains Cohen and On-line Reputation Companies to limit what people found on the internet using a search engine. Burying bad news about MRI and their lamentable behaviour to their Victims they referred to by them as customers. The list of Search Engine spoiling carried out was on an almost industrial scale to prevent you finding the truth. However, more recently the European court appear to have let the flood open gates for individuals have their history wiped or at least remain unlisted in their search results. This came about from a Spanish citizen who objected to the input of their name returning a newspaper article detailing their bankruptcy some years before. Now the big question…. Will Darragh MacAnthony, Dominic Pickering and their band of questionable directors now flood Google with requests that their involvement in one of Europe’s largest scams be removed? This article by Danny Sullivan of Search Engine Land suggests that the request may well be allowed but weather the removal of links from Google‘s search results may not be what they will get. The MRISG have directed Google to our own article published in 2011, MRISG Talk, and to MRI owes me money pages to have them attempt to remove spurious entries deliberately created to have MacAnthony & Co.’s pasts buried in a list of useless and pointless links. Google have responded stating that the articles, websites and videos mainly breach their code and are indeed preventing meaningful search results. However, when they have time to implement the weeding of the spoilers is anyone’s guess. Google guidance also means that if they reject someone’s claim to have their history wiped it is upto the EU court to rule and not them, although outside Europe they will not be removed. They also point out that any requests have to be for an individual and not a company unless requested by a serving director. As all the MRI companies are now in liquidation there are no directors to make the claim for the links to be removed so no links about the company MRI Overseas Properties etc.. should ever be removed by them. Also the fact that the MRI Directors are or were listed is a matter of public record so will not be removed by Google because they could be sued should someone end up losing money because Google blocked or failed to list pertinent public records. I can see the lawyers all rubbing their hands in anticipation of getting very rich over this ruling. I wonder if MacAnthony and Co. have already made their submissions to Google‘s take down notices. The MRISG Needs Your Help. The MRISG and Antonio Flores, the MRISG Lawyer in Spain, need your help to gather evidence about the workings of MacAnthony Realty International companies and individuals who worked for MacAnthony Realty International and Capital Financial Partners World Wide. Search the lists below to find people and contact us with whatever information you may have about where you knew them from, what dealings you had with them, dates and any documentary evidence you may have retained. If you were a victim of these companies but not yet a MRISG member please contact us too. Those who do appear on the lists please consider contacting the MRISG too. It is very important to the investigation that you come forward and provide what evidence you can and make available any documentary evidence from the time you worked at MRI. There is no suggestion that all persons listed here had any guilty knowledge of the magnitude of the scams run by MacAnthony Realty International or their other companies but some on the list knew a lot of what was going on at the time and could assist to bring those responsible to justice. FOOTBALL boss Darragh MacAnthony faced a court grilling over claims his company swindled holiday home owners out of hundreds of thousands of euros. The Dublin-born entrepreneur was quizzed for nearly two hours by a Spanish judge about his property empire and a furniture sales sideline. 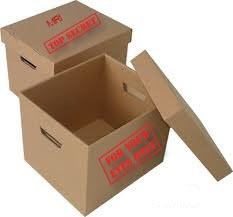 Dozens of ex-customers sparked the probe after complaining nearly €500,000 worth of furniture, ordered more than five years ago from his company for apartments in Morocco, Bulgaria and Cape Verde, was never delivered. The Peterborough United chairman declined to comment as he left after the hearing behind closed doors and was driven away to the luxury hotel where he is staying in a €2,650-a-night private villa. Four other business associates linked to his property firm MacAnthony Realty International were also questioned. Investigating judge Beatriz Gomez-Escolar is probing allegations MacAnthony and his business associates misappropriated around €550,000 from 56 customers and stripped MRI of its assets before a de facto closing as part of an elaborate fraud involving the use of an OAP frontman. The investigation into MRI’s business practices launched in January after a group of 51 buyers ratified an earlier claim that €492,000 of furniture they ordered for holiday homes was never delivered. Five more people have since come forward to claim they were victims as well. MRI has consistently denied any allegations of wrongdoing. Be aware that the MRISG, Administrators and Host can not be held responsible for the personal views of posters on this BLOG. Remember you are personally responsible for any comments you post on this BLOG. Your details will not be published or distributed to any third party and your identity will remain private. If you have issues or disagree with the content of posts on this BLOG post your own reply to rebut what is said. You can follow the latest updates from the MRISG Blog by clicking on the RSS Feed icon on the left. Freedom of Speech Banned in Northern Ireland? Peterborough ET Censor Legitimate Comment…. MRISG Members are Liars or Not? 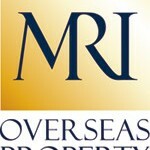 shirl on MRI Overseas Property Ltd.
► Promoting awareness of the many problems buyers may or have faced as a result of sourcing property overseas and especially through MRI Construction (as an agent or as a developer). ► Lobbying for change in the EU to eradicate what is perceive as unfair practices in the International Real Estate industry. ► Bringing together individuals to and raising funds to sponsor Class Action against offending companies in the EU.